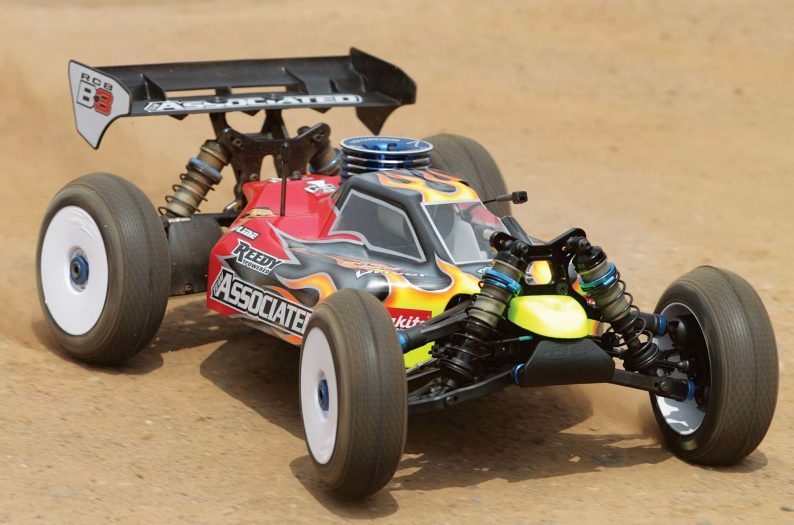 With the holiday’s right around the corner it’s safe to say we’ll be seeing a number of affordable RC releases geared towards holiday shoppers and eager future RC enthusiasts. 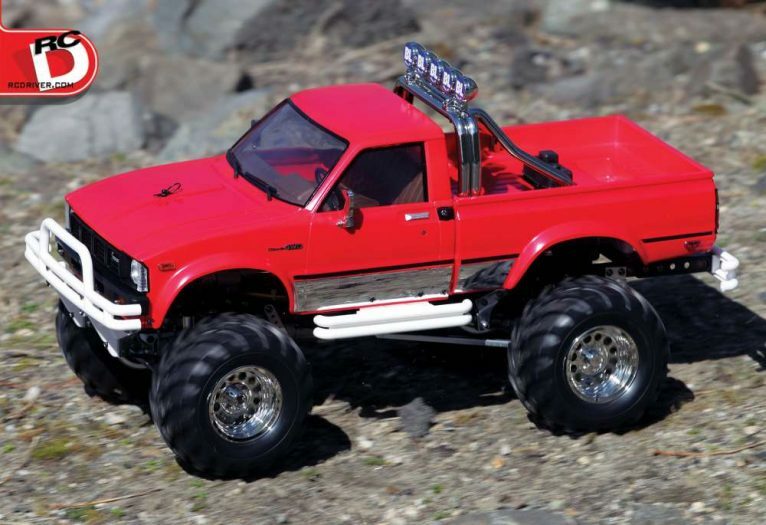 It appears that Revell is one of the first companies out of the gate with a holiday budget friendly 1/18 4WD electric ready to run monster truck called the Modzilla MT. 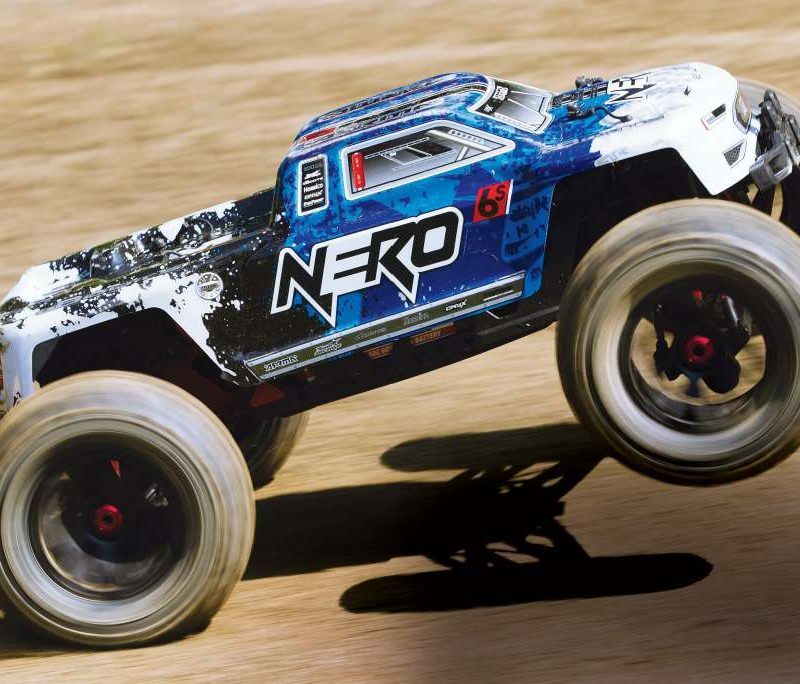 The small dirt chucking truck has a cool look to it with wild body graphics and mean looking chevron tires with spikes. It comes with a LiPo battery as standard equipment and the box art stated 20+ MPH. Looks interesting to us; now let’s get to the unboxing. 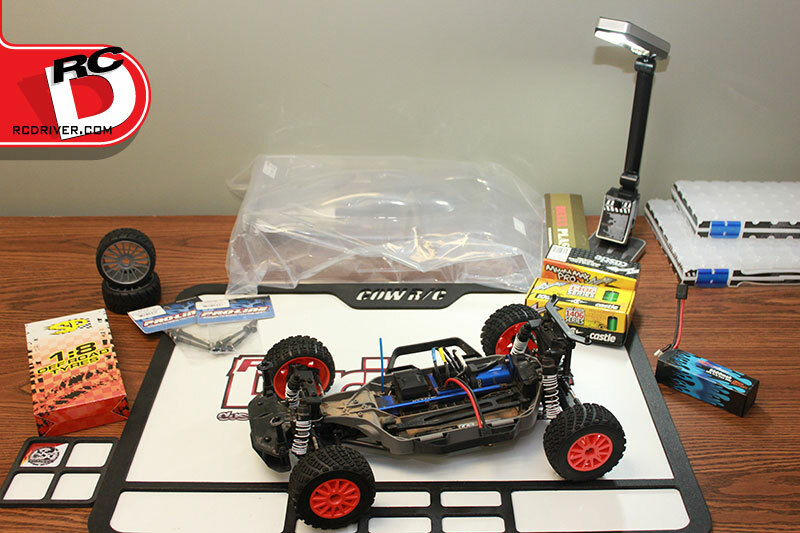 What’s in the box: Assembled vehicle with motor and electronics installed, 2-channel 2.4gHz radio, AA batteries, LiPo battery, USB balance charger, painted body and manual. At first glance, the Modzilla follows the standard layout of many 1/18 4wd machines on the market with a plastic semi-tub like chassis, shaft drive down the center and fixed link suspension. With that said, it is worthy to be called a hobby grade vehicle as Revell offers a line of parts for repair. 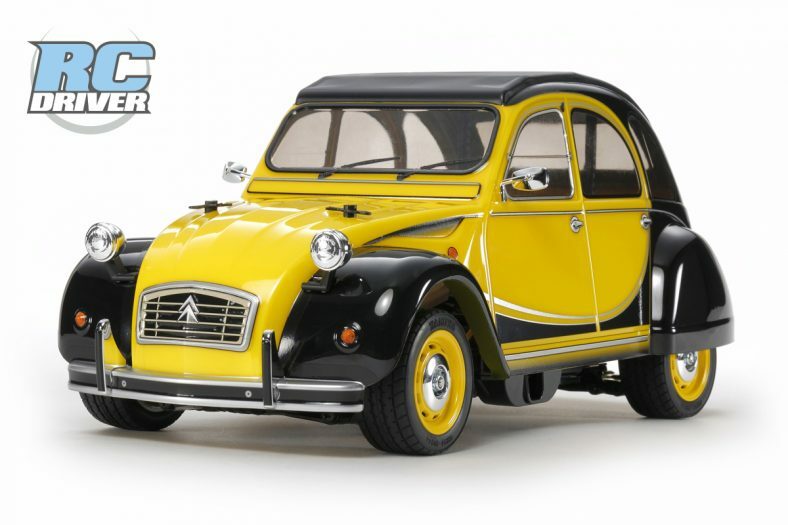 The chassis is fairly sturdy with a top deck for support. The top deck also serves as the gear cover and front steering brace and a small battery strap keys in on the back side to secure the pack. The driveline features a metal center shaft and metal dogbones that mate up with metal wheel stub axles. The differentials are gear type with plastic outdrives and the driveline rides on bronze bushing; that’s better than plastic, but ball bearings are better. In the suspension department, the shocks are a coil over friction type that give the truck a springy rebound feel on the bench. The arms look pretty beefy for a 1/18 car and the upper links are fixed for ease of operation. The steering knuckles, caster blocks and rear composite plastic uprights too look beefed up and ready for some off-road action. A dual crank steering system is protected by a spring loaded servo saver in the main crank. For power, Revell includes a LiPo pack to give the brushed system some grunt. 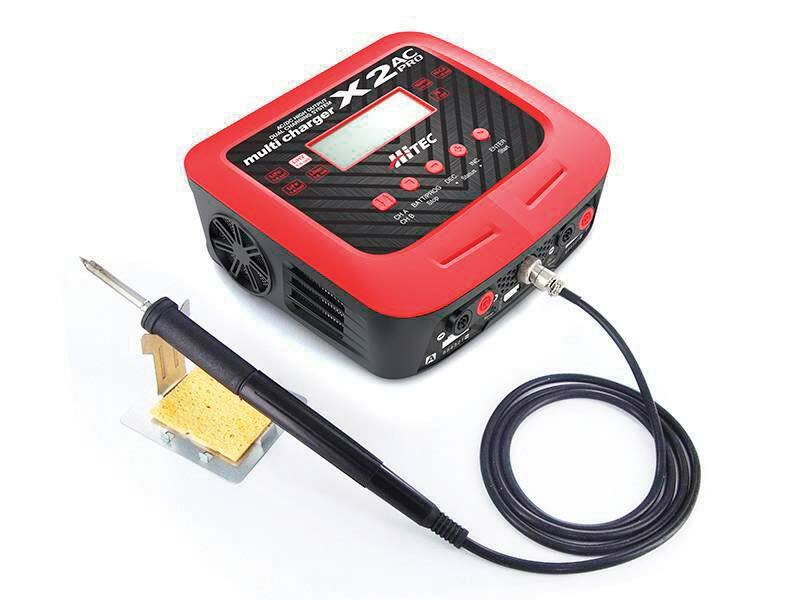 The ESC and Receiver are one unit with a separate servo, however if you want to do a power upgrade later to perhaps a brushless system, you’ll need a completely new radio set-up and servo too. Since we can see the components inside the ESC case we’re going to say keep this machine away from any water. Revell includes a simple USB style charger for the LiPo battery. The radio for the truck is simple and perfect for small hands. Three AA batteries come with the set to power the transmitter. Revell’s Modzilla MT is obviously intended for the first time RC driver looking for a small affordable machine that will deliver a lot of fun and by the looks if it, this truck will certainly deliver. It has a great look to it, the package is complete, now we’re ready to see if it can pump out the action. 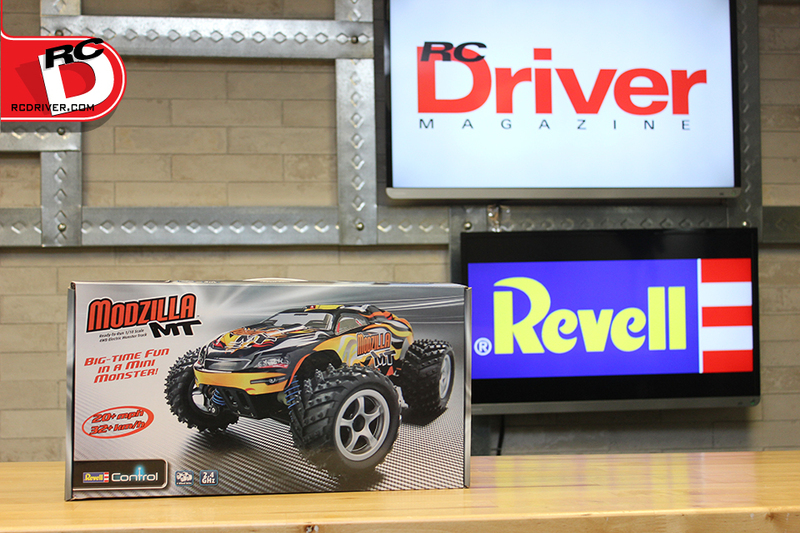 Check back for more details on the Revell Modzilla MT in RC Driver Magazine. this truck is great however the charger that comes with it is crap had to buy a better charger !! !